Beginning in the late 16th century, a new program or topos for waka composition in conjunction with image production emerged as a favored framework in projects created by aristocratic poets, calligraphers, and the artists they commissioned to work alongside them. 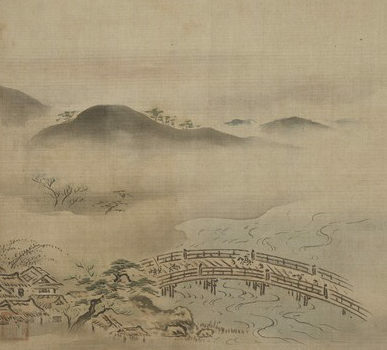 This “Eight Views of Ōmi” is especially notable as a naturalization to the Japanese setting of a Chinese topos, “Eight Views of the Xiao and Xiang Rivers,” merged with the domestic traditions of utamakura and meisho (“famous places”) poesy. This presentation will focus on a scroll version of the “Eight Views” by the late 17th ce. painter Yamamoto Soken and eight court calligraphers in the collection of the Beinecke Rare Book and Manuscript Library at Yale University, but it will also explore the textual and visual antecedents and sequels to this particular instance of the re-production of this program, which reach back to the earliest stages of waka history and forward to many recapitulations of the “Eight Views” topos in early-modern and modern literary and visual culture. Edward Kamens is Sumitomo Professor of Japanese Studies at Yale University. His scholarship focuses on classical Japanese literature, especially classical poetry (waka), Buddhist literature, and the interactions of literary texts in and with visual and material culture. Kamens is currently at work on a book-length study of classical Japanese poetry and its relationship to material culture, entitled Waka and Things, Waka as Things. 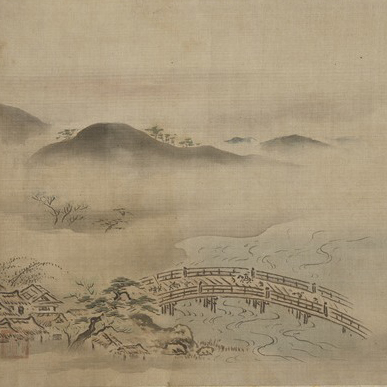 It will include close examinations of the production, programming, presentation and reproduction of waka in intimate association with the making of material objects including paintings, landscape models, and illustrated sutras. The book will also propose that waka poems themselves can be understood as “things” produced, presented, and recycled much as are other objects in the material culture of which they are a part, and that this characteristic merits as much attention and appreciation as do their expressive, representational, and other rhetorical functions.